Learn how to play roller derby! 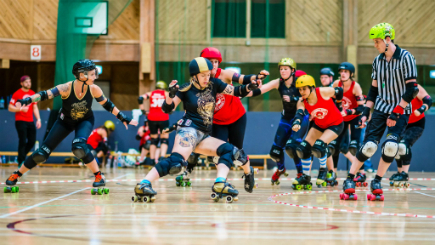 If you’ve ever fancied having a go at roller derby, now’s your chance! Our next beginner’s course starts on 2 October 2016. We’ll teach you everything you need to know to play roller derby, or become a roller derby referee.